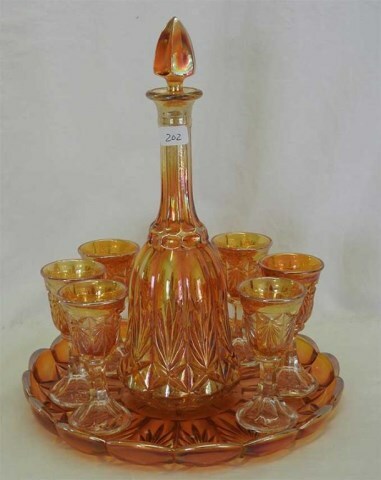 Seen primarily in marigold cordial sets (some call the wine sets). 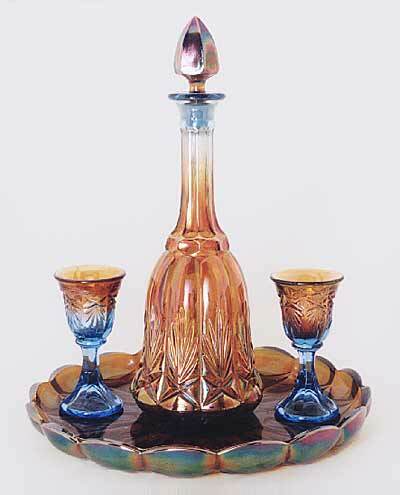 The set at the left is in an unusual blue with marigold iridescence. 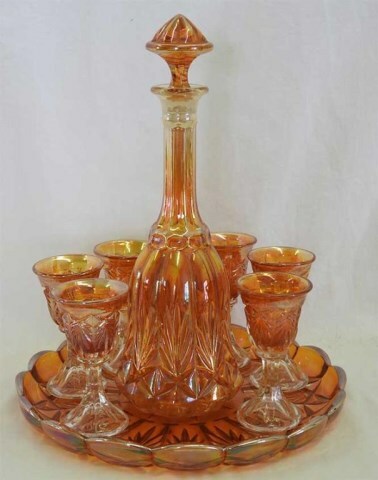 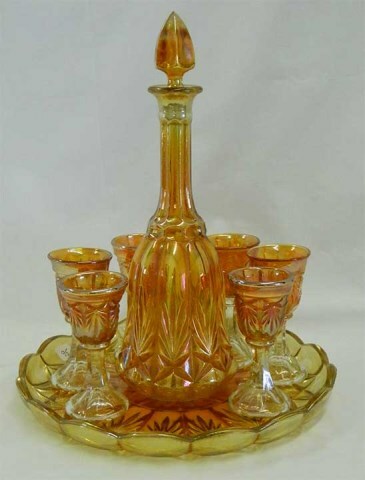 This spectacular 4-piece set (including undertray) sold in 1999 for $1,650. 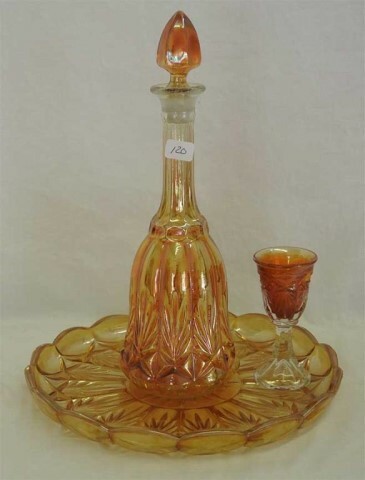 Probably of European origin. 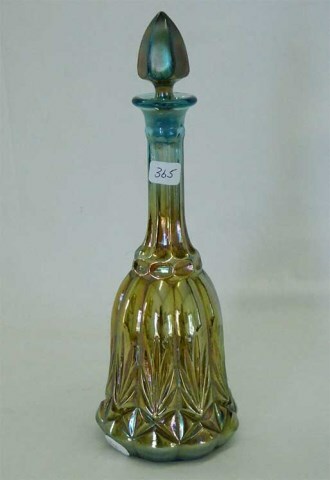 Vases identified as this pattern would be Curved Star. 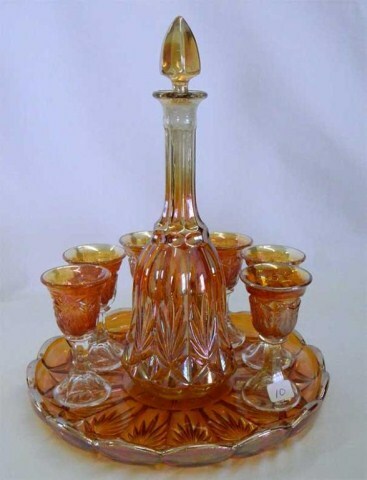 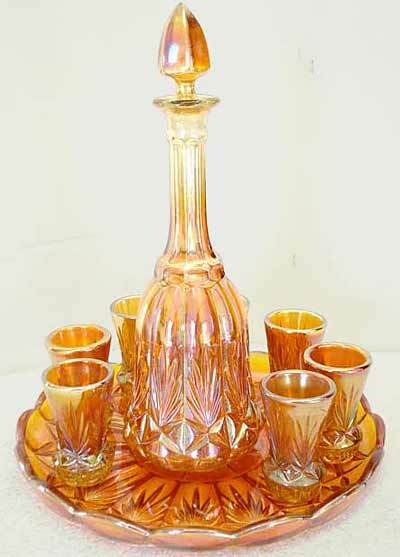 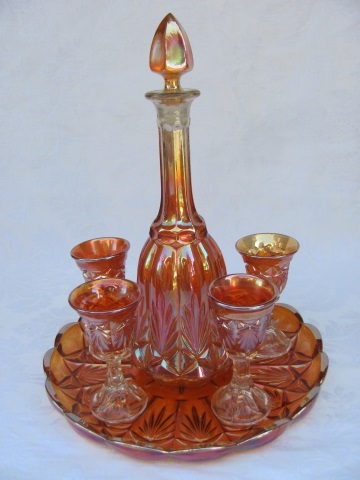 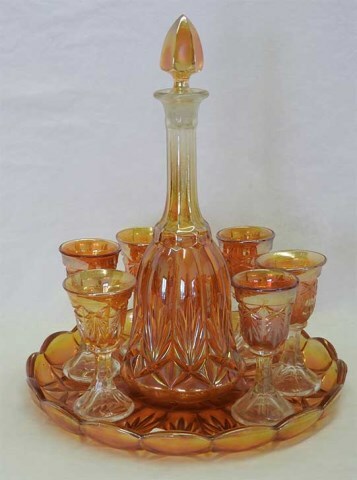 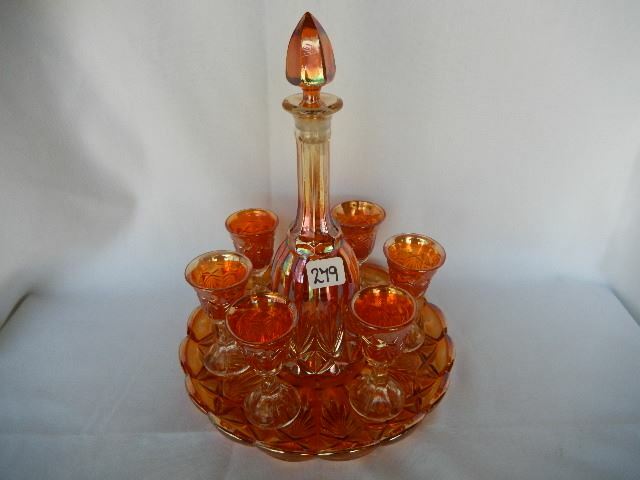 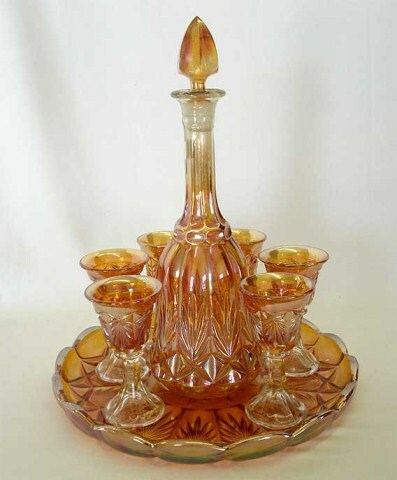 This marigold liquor set (above right) with 9 shot glasses brought $1,650 in 2006.